Starting a new role, everyone wants to make an impact quickly. Before joining Blake, I’d spent a year working in the Learning & Development industry, a market I had no previous experience or knowledge in. Those 12 months taught me a lot. Gaining an awareness and increased knowledge for the importance of proactivity, promoting my own personal brand, effectiveness when working from home, using the team around you, setting goals, asking for help when needed and, perhaps most crucially, the importance of building strong customer relationships. I was determined to utilise all of this knowledge into shaping this opportunity with Blake. Thereby demonstrating that it’s possible, even when working remotely, that effective and ultimately prosperous relationships can be developed quickly, through a variety of means. And more so that this can be achieved even if working for a company that is based, in effect, in another country! Goals are fantastic, but without a plan of attack they are - in essence - nothing more than a fantasy. So, my immediate priority was to meet with as many people as possible, to have meaningful conversations with the intention of delivering a lasting impression. From there a key goal was to see what assistance I could provide. Understanding how our products could ultimately help them successfully achieve their business goals, bringing their desires to fruition. However, without gathering the necessary insight my goal is unachievable. Therefore a key part of any effective relationship building conversation should also focus on: learning about the market, hearing what businesses are doing/planning and from there developing a thorough understanding of the types of projects being handled. For me, there’s nothing comparable to having a face-to-face meeting. In actual fact, “meeting” almost sounds too formal. I like to think of it more as simply a chat, certainly not “selling”. Instead it should be used as an opportunity to learn and explore needs, whilst ensuring that where possible conversations are kept succinct and beneficial for both parties. After all time is a very precious commodity! In all, I’ve had over 100 meetings since starting in June. Sometimes it’s been over lunch, in a coffee house, in my Hub or on-site with a customer. In fact it’s often those less formal which have been more successful. The location, in reality, is irrelevant and doesn’t actually impact on the key aim: the chance to establish an emotional connection. After all, building trust and empathy, are - in my opinion - the most essential parts of any successful business relationship. Of course practice makes perfect, and I also find the more I practice this, it helps my own confidence, morale and general people skills. So often I’ve come away buzzing with ideas and generally feeling positive, just simply from “putting a face to a name”. That all being said, face to face meetings can be a challenge logistically. It’s not always workable to travel 100+ miles in a day, unless you can arrange it around 8 other appointments. So it’s important to get the mix right. A general “office” day for me is spent on e-mail and telephone. While I do still feel (at least one) personal meeting is the best way to start, I fully believe that it’s still possible to build and maintain strong relationships with customers without doing so. In a previous role I was almost entirely based internally, yet I was able to manage a client base of over 200 accounts without the need to visit. Whilst there’s great value in a face-to-face meeting, a day out of the office inevitably has a knock-on effect on your productivity. But that’s where a good team comes in, and fortunately I know that when I’m out visiting, I have colleagues who can assist – they too help with the customer relationship. After all, it’s not just with me, but also Blake that the customer is connecting with. So much can be achieved by e-mail, and I personally aim for the tone of my content to be very much in keeping with my personality - professional, succinct and with a pleasant manner – something customers respond well to. As I’m trusted to represent the Blake brand, it’s important – to me as much as my employer – that I’m responsive, articulate and accurate with my written communications. We can’t talk about customer relationships without mentioning the telephone, as it’s still an integral part of our communications. Without delving too much into the “cold calling” debate, my own take is that you can often achieve more in a 1 minute phone call than you can in a long thread of e-mails. It’s most useful when dealing with an issue, as there’s less scope for tone being misunderstood. As a postal packaging expert, it wouldn’t be right if Direct Mail didn’t also form part of our customer relationships strategy. Before I joined Blake, the company was a supplier I used for a number of years and I was always impressed with the thought that went into the collateral I received. Years later, I still use a torch I was sent by Blake and in 2017 we have our fantastic calendars that have been praised everywhere I’ve handed them in. 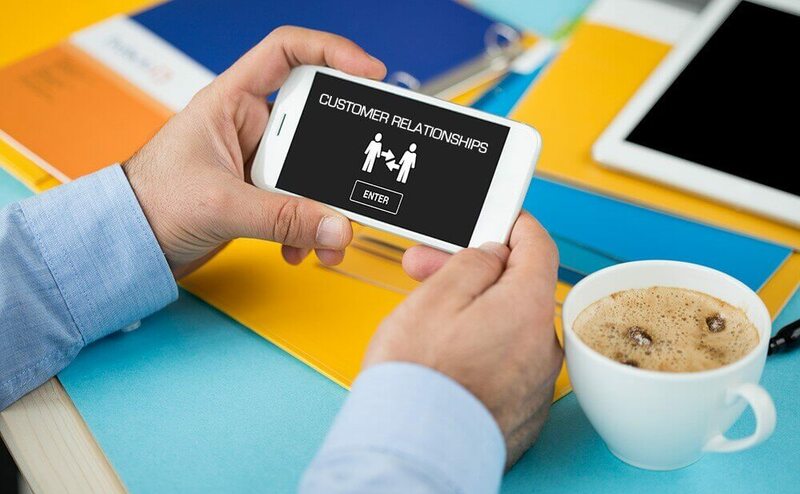 Regular contact by mail, allied with meetings, e-mails and phone contact, I believe is the key to building the strongest customer relationships. Where relevant I also think there’s real value in sending something handwritten. We have a range of Blake greetings cards designed for internal use that can be sent to customers when that extra personal touch is required. It’s these personal approaches which often resonate most with the customer, particularly in an age where we’re all so desperate to get at least 5 minutes away from the screen. Getting the communication mix and timing right isn’t always easy. I try to work/live by the mantra of being consistent, not overly or pushy, and to build relationships with customers to a point that they know they can trust my solutions, that their questions will be answered accurately, quickly and that the overall experience is, ultimately, an enjoyable one. After all, we’re all working towards the same goals. • Always try to meet in the first instance. • Touch base regularly, but ask the client how often they would like to be contacted. • Don’t be afraid of the phone. And the biggest lesson I’ve learned … Always be honest!